Welcome to the second challenge from A Blog Named Hero. 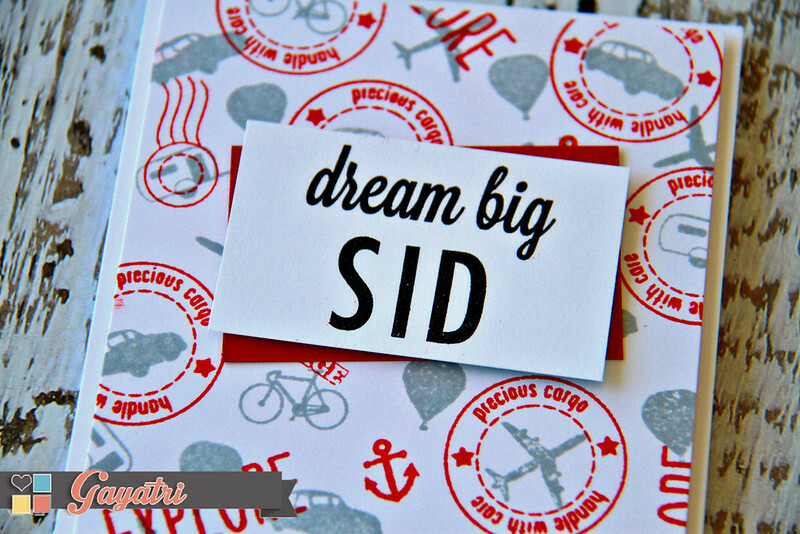 For this challenge, we like you to personalize your card, notebook….. I have personalised a card of course. My son is going on a school tour to Italy later this year. I thought I will sneak in a card with some lovely message in his suitcase. He will feel loved when he find it and reads the message 🙂 Since he does not read my blog, I am safe to post the card. This is my card. The background for this card is inspired by an ad I saw in one of the airports. I loved it instantly and too a photo of it. I personalised the background using the tiny images from Here & There Come Fly with Me stamp set from Hero Arts/Studio Calico. I stamped a few in Soft Granite Shadow ink then the others in red ink. I love the contrast. 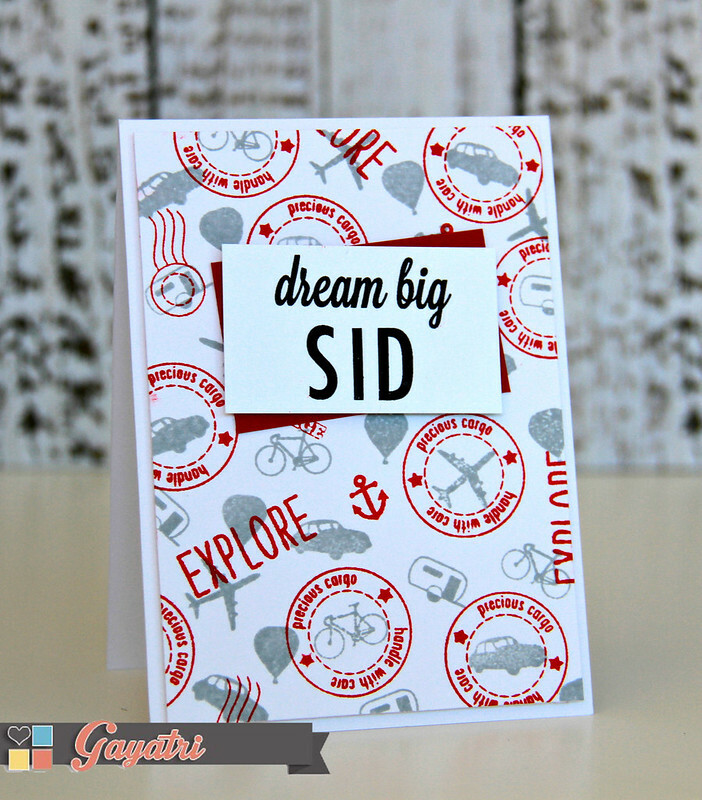 For the focal sentiment, I stamped the “Dream Big” from Hey Day sentiment stamp set also from Hero Arts/Studio Calico. I stamped my son’s name using Stepping Stone Alphabet stamp set from Hero Arts/Studio Calico. I have layered the sentiment panel with a red panel and adhered using foam adhesives. Come and play along the challenge. Our fabulous sponsor Simon Says Stamp is the sponsor of the winner prize. The linky and more details of the challenge can be found on A Blog Named Hero. Love the background you created,Gayatri. The contrast in the colors as you said is wonderful and it works for a boy card. Thanks for the inspiration.